There is a special feeling when opening a Christmas gift that is either exactly what you wanted or something you never knew you wanted, but now you can’t live without. That excitement of knowing someone else went to the trouble to pick out a gift, wrap it and deliver it to you (or at least have Amazon do that) all with you in mind is exhilarating. 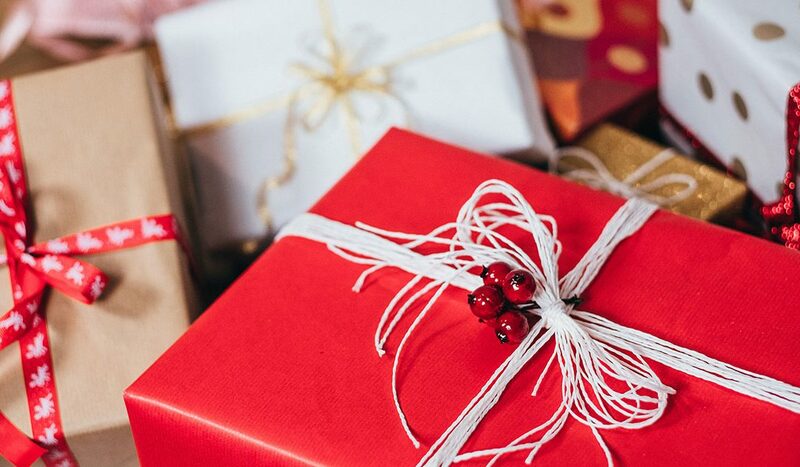 In fact, there is only one thing better–and it’s watching someone else open a gift that you have picked out, wrapped and delivered all with THEM in mind. Seeing the look on our kid’s faces when they open that present they never thought they’d get, but you made it happen somehow, someway is worth all the effort. Watching one of your parents open a gift that leaves them speechless or seeing your spouse’s face when you blow their mind with a gift they never saw coming is an extraordinary feeling that must be God-given. After all, it was God who said, “It is better to give than to receive.” There is a word for this type of feeling, it’s called humility. Maybe you never thought of yourself as being humble on Christmas morning, but every time you enjoy giving more than the getting–you’re experiencing humility. Every time you say “no, you go first” you’re being humble, and every time you make the day and experience about someone else, you are practicing humility, and you’re being like God. I have to think that despite the overwhelming joy of Mary, Joseph and the shepherds on that first Christmas night, I think the only one more excited was God himself. He had just humbly given his Son to humanity. 1. Here’s a compliment just for you. Anyone can say “good job” or “nice work”, but you can really overwhelm someone when you get specific with what is good about them. A note, a card, a gift, all can be an act of humility. Even if you just speak to them and tell them something specific about their work or efforts that you value, it can be very generous. 2. Talk about someone in front of them. We are all good at talking about people BEHIND their back, but begin to practice complimenting someone to someone else IN FRONT of them. I remember having a boss that upon meeting my parents he went on to tell 2-3 specific ways that I was good at my job. Being complimented specifically in front of those whose opinions matter took the gift of a compliment to another level. Maybe a group email, a Facebook post or even a “let me tell you why they are so great” is a humble gift that elevates someone else. We all want our way. We want to eat where we want to, we want to spend our Friday nights based on our preferences and we want to see the movie that is on OUR list. But taking a step back to say “You choose” or “I don’t care, it’s up to you” does more than just practice kindness, it flexes that humility muscle in your soul. It might be hard to do at first, but it gets easier every time. 500 years before Jesus, the prophet Micah told us how to live in God’s good graces, to “Act justly, love mercy and walk humbly with your God.” Seems that this is a pretty good way to not just follow Jesus but act like him too. I am so excited about my new book coming out that walks through each of these words. To read the first chapter now, just click here to pre-order the book. What a nice, practical reminder how we can be more like Jesus every day. Merry Christmas! Thank you Rusty for the humility lesson. It is a wonderful way to be. Be blessed and encouraged as I must tell you that you Pastor have touched my life in a positive way. You always have such great ideas and present them in ways that are easily implemented and easy to remember. Your teachings have made an impact on my life….